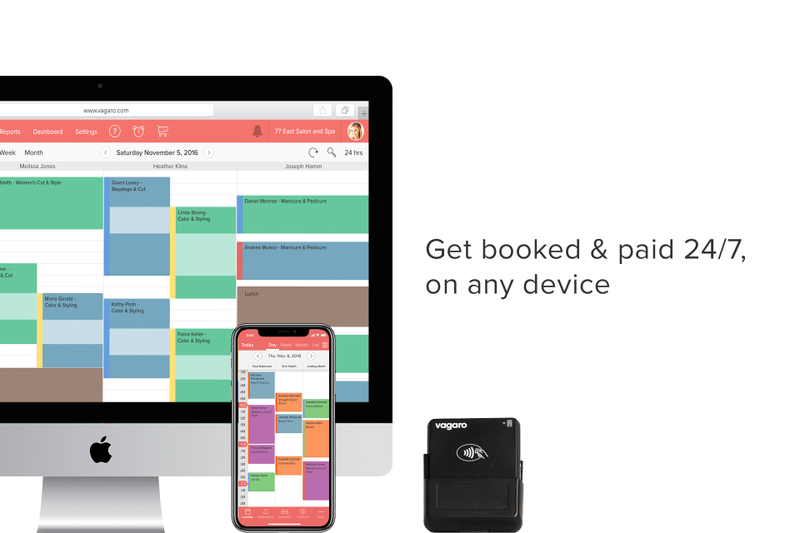 Boost your productivity and free up time with Vagaro Salon Management Software. 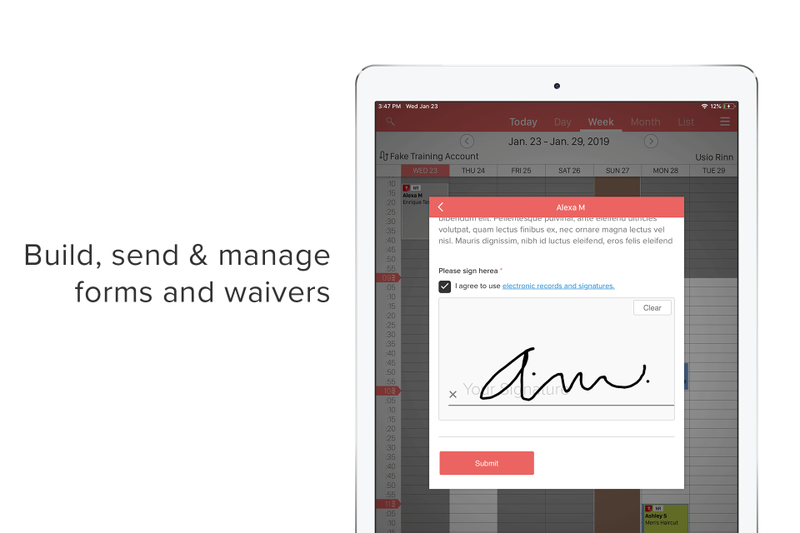 Schedule appointments from a desktop or use our App to manage clients on the go. Get booked on our beauty marketplace, your booking page, Facebook, Yelp, Instagram or on your own website via our booking widget. Send automated reminders and emails. Manage packages. Securely process payments. Vagaro Pro is the most downloaded/reviewed Apple & Android App. Pricing starts @ $25/month. Sign up for a Free 1 Month Trial. Vagaro Fitness Software Reviews Recently Reviewed! I love this booking system! Pros: This booking system makes my business so much easier to run as a soloprenuer . It is so much more than just a booking system , it is my website and POS as well. I love how it sends out multiple reminders to clients (3) I believe . My clients love it as well for the ease of use and the reminders. I get compliments on this and how the website looks as well. I love that Vagaro listens to its clients requests and adds new features from time to time . There is also a chat feature for help and on the phone assistance as well. I love the fact that I can sell gift certificates, and cc cards as well . Today I got an email that now if we wish we can have clients pre pay for services. The customer service is just wonderful. I revcently changed the template on my website to something that reflects my business image now . I love how it is easy peasy to do so , without assistance. Many of my clients like the option to book online themselves. I love how to make reports for my accountant is easy as well . Another benefit is email marketing. If you want to know more sign up for the free trial . So far the customer support has been great, and I love they have classes each Monday. Pros: One vary cool thing about Vagaro is when you sign up as a single business owner or someone with a whole team, the encouraging words "You got this!" Made me smile. I knew this system would be a good fit if it could encourage me along the way to growing my business! What other company does that? The price seems vary reasonable and I love how my clients will get text reminders automatically after booking an appointment with me. Its so important these days as we can get so busy and forget an important appointment. Vagaro Pro seems to be vary user friendly and will be painless to train others to use. I have only been using Vagaro for a few weeks now for the free trial and I love the ease of navigation this program offers. I have used other computer systems and for the price I feel I will be getting quality for the investment. I have called tech support twice now and each time I have called with a question it seems as though the tech support team member was truly happy to help me. I also love how they offer classes weekly. This will be a great way to help me to continue to learn and train my staff. I have been in transition moving my business and location. The option to transfer all my client data from a spread sheet or my cell pone has been so helpful and a time saver. I feared I was going to have to enter each client one by one, but the import option made it so easy and only took a few minutes to do. 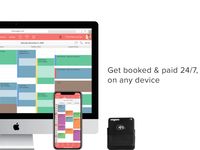 I will be telling other business owners about this booking system. Its great! Cons: One thing if find frustrating with most electronics is that the options change with different devices. The same is true with booking stytems. I was able to down load the Vagaro app for my cell phone, but not my desk top. It would be nice not to have to log on each time on my desk top, and just rather click an icon and my books open for me like it does on my cell phone. I would also like the open to test trial the Vagaro credit card services, but that is not included in the trial. One things I found challenging is customizing my service menu. Vagaro has so many services already input in the statement I have had to go through and delete many services I do not offer as well and filtering through the descriptions of each service I do want to keep. It would make it more simple to keep the service menu empty so the business owner can customize without having to delete and edit prices for services they want. Though, may be helpful to someone brand new to the industry. I also do not care for my clients to have access to online booking. I would rather be in charge when a guest needs a reservation so we give proper timing for each individual service. The only valuable thing for online booking would be for more guest control. I do not want to that up or maybe the idea is just too new for me. Also, you don't know is booking. Everything is so electronic these days. I would rather talk to a real person about my reservation then just book online, thinking costumer service communication. My salon has used this software since we opened almost 4 years ago, absolutely love it. Pros: The online booking feature is a MUST with our clients, they absolutely love it. Also, the fact that you can have your website attached, a beautiful website at that. The ease of entering in all of our services into the service menu, our prices, and individual time intervals per service and per provider. But, the BEST thing about vagaro, is the ease of paper work. We do our daily tally and weekly tally sheets, and vagaro makes that absolutely a breeze. I am part owner, salon manager, and reception and I do all of the employees paperwork and money handling, and vagaro is absolutely amazing and makes the process so much easier than other software I've used over the years. The transaction list, to be able to go through all checkouts for the day, to be able to refund, charges, cash, and checks all separated into categories. It's just amazing. The checkout through vagaro is nice as well, you can put in the tip amount, check, cash, or charge, without using their merchant services, which is a benefit because you have an actual layout of each customer, each transaction, whereas on the credit card machine, which is completely separate, you can only see customer, and how much paid, including tip. Since, we opened this salon, we have only had vagaro, and we will continue to only have vagaro. It's the best salon and spa software that is available. No matter the size of salon, or services offered. This system works for everyone. Also, the text message updates they send out when theyre down. Cons: There are really only a few things that I like the least about Vagaro. One would be, the system issues, especially with the credit card processing. When we first opened we were using vagaro as our merchant as well for our credit cards, and we had nothing but issues. Even now, I get the texts whenever there is a software malfunction, and it seems most of the malfunction is with credit card processing. So, we ended up having to buy an actual credit card machine and go with a different merchant provider, and now all of that is resolved. The next thing I like the least is, you can't separate your business at all. We have both tanning and a hair/nail salon. So, our tanning hours are slightly different from our hair/nail hours, and there is no way on vagaro, or our website, to separate and add additional hours. The last thing I like the least, is that Vagaro really only allows you to add services, there's no where for us to list our prices for tanning on our website, unless we take a picture of the menu and post it in our pictures, which would be out of place. Overall: The salon benefits tremendously from using this software. First being, salon operations. The overall smooth running of the salon. With the booking block scheduling, color coordinated services, customized services, and application/processing time being adjustable, it just makes the salon run so much smoother. The service providers never struggle with their time management thanks to vagaro. Each service booked in their book is booked appropriately by time, which makes a smooth transition from one client to the next. Also, when checking customers out, it is super easy. Being a booth rental salon, who still functions as a team and uses one system, one receptionist, one merchant, one credit card machine, it makes it easy. It breaks down each providers day, total services, total money taken, etc. So, when it's time to closeout, there are no mishaps, you know exactly what happened with each client, by name, by service, by provider. You can truly check anything you need to. Also, when clients move their appointments around, as clients always do, vagaro has it set up very smoothly. It's very easy to move a clients appointment from one day to the other. Also, having the business website attached to the actual software is a major bonus! A lot of new clients find us using vagaro. The new customers can see customer reviews, they can see our service menu and prices, our hours, everything they need to know, and they can book online right then and there! Our clients truly love booking online, without that feature, a lot of our clients would have a hard time booking appointments because their schedule changes from day to day. With this option, the night before they know they are going to be free for a service, they can open up their phone and book for the appointment they need with the service provider of their choice! Vagaro, with the few faults it may have, is hands down the BEST salon software you can get today! It's a one size fits all type of system that has worked while we were an hourly salon, then to a commission salon, and now a booth rental salon. Vagaro is so great that we REQUIRE all of our service providers to use this system! The providers that have been with us since the beginning wanted to stay with vagaro. The new providers were amazed by the system and were happy they made the switch! Anyone who has ever used this system would be a customer, no matter the size or type of salon you have! It's the best! Almost 4 years with vagaro, and many more to come! Cons: After using this software for almost 1 year, I still haven't taken the time yet to explore the fullest capabilities of the software. However, I'm hoping it will be compatible with my Canadian Moneris account in respect to accounting and reporting through the client database and service totals, especially as I add staff to my growing business and move into a management role. The Vagaro name took a while for clients to adapt to - we still don't know how to properly pronounce it! Overall: My growing home-based nail business was using text message to book hundreds of clients. Switching to automated online booking was THE BEST BUSINESS DECISION I have ever made! It saves me from answering 600+ texts/week at all hours of the day/night so I can better focus my time and energy to providing a quality nail service. Automated booking removes the human errors of miscommunication and mistakes while providing each client ownership of their appointment, thus reducing no-shows. 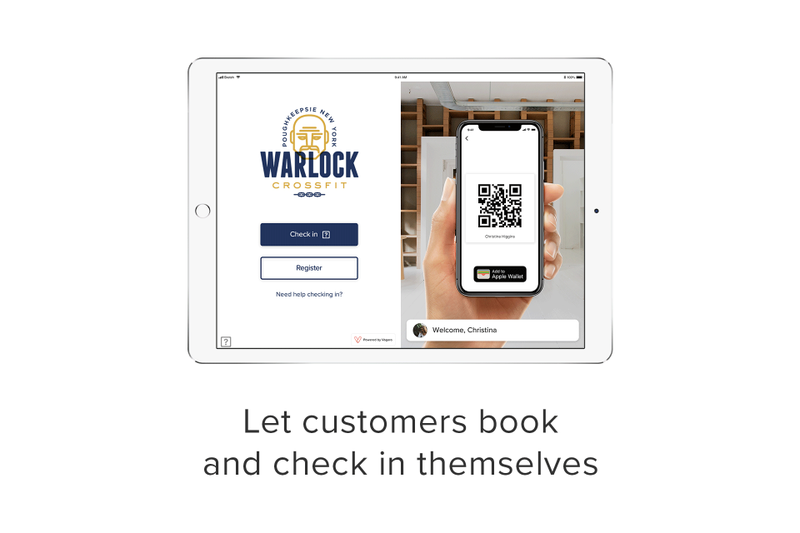 VAGARO online booking was a smooth transition and the App's simple user interface has made clients confident to book/rebook/cancel appointments any hour of the day. Clients can see all available appointments and compare against their schedule, as well as receive reminder emails that could include pertinent details, such as where to park or methods of accepted payment. I searched online and at beauty conventions for the perfect online booking system that could grow with my business needs, and VAGARO is the best value and service available on the market. It was a catalyst to my business development and the very definition of learning how to work smarter, not harder. Recommendations to other buyers: Perfect for a home-based business or growing service that want to automate communications in order to save time, energy, and increase efficiencies, and thus provide better business services: work smarter, not harder! Pros: The ease of use, and the fact that clients get repeat reminders. It has increased client retention. It also shows new clients that I am serious about the business. The website was so easy to set up. Cons: It does not work with Square. I was using Square before I started with Vagaro. I love Square too. I think the ability to text blast would be great. I know it takes me days to read my own email. A text is read that day. I do wish I had more space on the website. I do offer more services than the average cosmetologist. I also wish there was an easier way to get products that I sell into Vagaro. I think this should be something that Booking systems and beauty companies work on together. it would be great if you could just dropa Dermalogica App into Vagaro. When prices change all products are updated. and so on . Any product line that a salon or spa could use should have something to just ad in easy peasy. Overall: I really love this booking system . I find it easy to use and reliable. I also love the chat feature. If I don't understand something or need help with something or just plain forgot how to do something Vagaro tech support is there to help. I first got it because I needed a website ASAP to look professional. I also needed a reliable booking system for myself and my clients. it has increased client retention and clients that did not like to book in advance no do so because they don't have to remember to call and then play phone tag until we get to talk. I am a sole proprietor. Even good people forget appointments , with the 3 reminders that clients get its hard to forget to come in. If they still do forget or no show you can check with Vagaro to see if the text actually went through. I had a client that said she never got the message. She seemed honest but I did not see how that could be possible. I checked with Vagaro and there was an issue with her phone service. I don't do this with everyone, but in this case she really did not get the message. I do love that wen a client confirms the appointment the color in the appointment book changes to orange . If not I call them up. I love how it keeps track of what I do and what the clients get. I also love that I can set rules for online booking. I have mine set to 48 hour advance booking notice and then I have to approve it. But its possible to have same day booking open as well or not at all. I can keep track of how I I take payment cash or credit or check. The gift certificates are wondeful too. You can have a little creativity with them. Now and then someone will call when I am closed for a gift. I can send them a gift certificate through email. You can also do email blasts. I think a text blast would be great too, although they don't offer this at the moment. . Recommendations to other buyers: Just get it ! You will love it as I have. It will grow with you. When you get new people working with you , you can add them to the booking system as well. I have tried a couple of others and this is working well for me. The online chat help feature is great. And you can call if need be. Comments: With everything being said Vagaro is awesome. They have marketing emails and inexpensive adds. I am very happy despite having problems. Nothing is perfect and Vagaro customer support is very good. In addition they have training videos and webinars. Pros: I love Vagaro it is user friendly and streamlines my entire business. My whole business life in one system. Clients love it because of ease of booking and appointment reminders which is great because of obvious reasons but it also is good if there was a miscommunication between myself and a client and we can correct it before a mistake in appointment time and day. It shows me so much data and allows me at a click of a button to see what is going on and see my results. I love it. Cons: There have been once or twice where a client booked online and it did not show up. I've also had clients show up for an appointment they booked but because I was so busy I did not realize they were coming in. With that being said the Pro's out way a few hiccups. However I have been highly dissatisfied with there mag swipe it is finicky and sometimes doesn't work and I have to key enter a sale which costs more and wastes precious time. Then I bought the blue tooth chip reader but it won't stay connected. So customer service has been very helpful and I am waiting for a docking station for the chip reader which is supposed to keep it connected. I have high hopes for this device. However I wish they would have explained that there was a docking station and that the chip reader would need to be paired after 30 minutes. Customer Service Knows Me Well! Cons: -Cancelation/ Waiting List needs to be better- it's currently not useable for the large number of requests we have for a cancelation list. -We've had some retail snafu's but those are getting better as well. -Marketing promos could use a "retail" option. -Checkout could have some updated options like a "hold in cart" so if you have to interrupt a sale you don't lose everything you put in checkout screen. Recommendations to other buyers: Smaller salons will love this. Larger salons will have to be patient. We have 16 Service Providers and it works well for us. Pros: The appointment Booking and billing is great. Calendar user interface as well as syncing to Google Calendar is great. Sign on and processing time for each transactions is REALLY FAST! (I used mindbody previously and it redraws the entire screen with each data entry). Being able to format the calendar a little is great. Over all the company has been great for my business. I recommend to any salon wishing to grow. Cons: The one thing they have not changed is the ability to customize more than 1 processing time per section with a client assigned to the same stylist. They have the notification setup not for solo salons but for clients that have to see multiple specialist in one section. Im a solo salon I do everything myself. So I don't split the service by doing the relaxer color and sending the client to different stylist to roller set the hair and sit them under the dryer. So I hate there is no consideration for this kind of customer. I have to create two separate appointment which means the clients get two or 3 separate time notifications. So the client is confused. We note them as a no show not knowing they thought there was an error and show up later scheduled time for the roller set portion at 3:00 instead of 12:00 for the actual start of the service. I now use the personal time off option to avoid 2 notification. But if the client cancels their actual starting appointment online the blocked time I made to roller set the hair remain on the schedule because its really not Linked to the actual appointment. Im patient that if others are open about this same concern it will be changed. 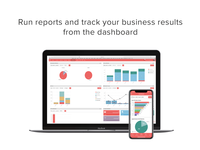 Overall: Professional presence to new customers, a way to notify customers of appoints and huge variety of reports for taxes and clients review. Pros: pricing is very fair for what you get. VaGARO packs a powerful punch in every aspect of running a business, as well for stylist or chair renters. ...Customer love the confirmation notices and as a result more customers are pre-booking(especially guys) who used to be notorious calling last second. & educational videos on how to use vagaro & customer service are both excellent. They are always making improvements. It is certainly paying for itself. Cons: it could be my tablets,phone or me, but sometimes searching for a client can get a little tricky. for instance , if i search for a customer and start with a lowercase letter but originally inputted with a capital letter, their name sometimes wont show up on 1st search but always on the second, its minor issue and it could just be me or tablets. BUT It is the only glitch iv'e ever had with vagaro. Overall: IT's a God send, i tried a few others and just simply was a waste of time and money. The other stylists love it also, even the one who always says she's technology challenged , found it very easy to learn. 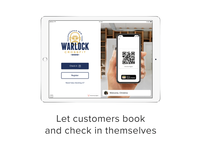 & the customers who are using the APP or going to www.vagaro.com are singing its praises also, "so much easier to check their schedule & mine at the same time whenever its convenient for them & more efficient than calling the salon. VAGARO IS The Bomb Dot Com!!! Pros: the viusal design for left brain people in the world! i love the reports are listed up and down! Cons: I do NOT like the pop ups each time- but I get it! nor do we LIKE the screen going both left to right and top to bottom, It is hard if you are a visual learner! i also know that there is a more simple way to add inventory for both salon use * back bar and retail. I have never had one assistant enter the new inventory properly until this year! 10+ years - the back bar and inventory system should be more user-friendly!!! Overall: over Elated with Vagaro since 2012! its like a fine wine, it simply gets better and better with TIME! Thank You Vagaro for All You Do! Recommendations to other buyers: all stated above! but yall also need an updated POS system that is PCI compliant at a fair rate! if not yall will begin to see a decline in this facet of Vagaro bc the fees are too HIGH, the credit card swiper isn't yet PCI compliant and all businesses should be able to take Chip REader Cards! i also think that the credit card fee charged to no show clients would be 50% more successful IF yall allowed it to be for X amount of dollars in service and Up> for exapmle 1$ per minute! with a charge being explained that way and charged that way per services that become no shows! lastly- the scheduler actually deletes my standing appts after each client gets all notifications reguarding their 6 months PRE BOOKS! its totally embarssing when they have it in their phones and show up$ and its NOT ON MY BOOK AT ALL*** THIS SHOULD BE TOP PRIORITY! TIME IS VALUABLE FOR EVERYONE! Even a Hair Stylist is VALUED!!! As the owner for my Business Vagaro has a few things to improve of like being USER FRIENDLY. Pros: Being the owner Everything I need it for is there. I can cut down on no call no shows by having clients enter their CC info, and it bonus out by letting me be CASH FREE. I am able to do inventory and charge for services. *** I would love if there was a way for walk ins to just purchase product with out being on the actual schedule/calendar. I had to add an add on for product purchase then go in and add prices for the product and add it in to their service in order to charge. I fell like that's an extra step that don't need to happen. If someone come in off the street rather client or not I should have a option to just charge them for product instead of booking them then charging for the product. other than that I love the product and what it offers. I have not went into customizing my site just yet so I cant comment on that. just yet. I have IT experience so its easy for me but I'm noticing clients especially older ones have trouble locating functions like posting for reviews or booking services if there is only one service tech. not sure why but that's has been my feed back. Cons: not easy for clients to leave a review.... Once they receive a Receipt. I feel they should get an option to leave a review after each service by the click of a button from their text and or email. I have not found a option that allows me to count how many ACTIVE clients I have on my roster. Overall: The ease of clients scheduling their own appointments at their convenience. And the ability for them to see when I am available for the service they would like. Customers love the Text Messages and Email reminders. Love the color coded options to find things better and to label things better. The multi use of interchangeable of different business. Always there in a chat form when I need help! Cons: Have to go to 2 or 3 different areas to load up, which takes time, and then eventually see what I need. Overall: I like how when you are going to update your program you tell us in advance. This helps a lot!!! I like the new updated display it is more user friendly. Our customers love the email reminders!!! It feels as if we can stay in contact with our customers better even when we do schedule so far in advance too! Recommendations to other buyers: I would like a search engine to find things faster. I don't want to have to load up the whole list of customers, because that takes time to load up then you type the person's name. That takes to long when you have multiple people on hold. Also I would like to see a list or just the last date of when they last came in for rescheduling an appointment. It takes to long for it to load up all that information. Oh and more color coded options to have for not just appointments but also blocking off schedules for personal time, vacation, or notes. This would help to schedule certain services within that time frame and can have the option to deny a service in that time slot too. For example, Getting ready for a out of work function but can still come in for work to do only trims, or easy clean up work, but can't do a full on coloring session even if there is time, because still need to run errands for the function. I hope you understand my suggestions. Thanks for making work of scheduling so much easier!!! Comments: Vagaro is not just an online scheduling system. They have a complete POS system, that you can use for employee management, inventory management, website builder and support, gift cards, loyalty programs and I'm sure a lot more but, that's just for starters. Oh and they have a 30 day trial period. Try it, its free! Pros: I like Vagaro because when I first started using the system it was easy transition. It was so much better then my previous system. It was very easy to migrate existing clients to Vagaro. My clients are the ones that really benefit from it and are able to listen to my voice mail instructions, directing them to the online booking. No more answering the phone and having a receptionist or myself book directly. It allows the client to book 24/7 and see all of my services and all the time slots that are available and that will work with their schedule as well. During business hours Vagaro has "live-insta-chat" and a person will help you with any questions you may have. They have phone support but, it's so much easier use the "live-insta-chat." Great customer service! Cons: Overall I have no Cons. Everything seems to work very well for me. I love Vagaro! Also, if it's just you or a team they have very affordable monthly fees. Pros: This software is pretty simple to set up and use. It has a very mobile friendly app to help you do your work and scheduling on the go along with a "widget" for android users. Cons: The only con I have found with this app is that, when using it to schedule chemical hair services with a follow-up service after (ie. color and cut) if you input a gap into the service settings it shows that you are unavailable during the processing time. If you don't, when scheduling multiple appointments for the next appointment it will put the haircut directly after the color which you then have to go in and physical edit. And then when doing that, you have to make sure to deactivate the "notify client" button so that the client doesn't get the editted info or else they get all confused. Overall: I stumbled upon vagaro when looking for an affordable software system for my small salon business. I was previously using a system that wasn't very mobile friendly and after doing some research this system/app was highly recommended. Very happy with its services. Recommendations to other buyers: I love the "email receipt" feature. In salons, many times, you don't necessarily get a receipt so this feature is great for clients records and your own sanity as well. Any stylist knows that, while its not all of them, some clients are always looking for a deal. So many of them (eventhough they get the same thing every time) will come in and play dumb about the price, hoping you will lower it. It is so easy to say, "You're getting your receipt emailed to you so you can always know what you paid." The software is good but sometimes it doesn't work as smoothly as I would like it to. Pros: Its easy to use and very self explanatory which makes it easier to train new employees on how to use the software. The reports are very useful for the marketing and management team. Cons: Sometimes customers don't get the notifications for their appointment or to confirm their appointment. Sending individual emails to clients from here is also difficult. I still haven't figured it out actually, it only lets you do email promotions and it doesn't let you pick what clients you want to send it to. Given that we have loyal clients and walk-ins we would like to be able to select who we send certain promotions to, whether its a special for all clients that have been coming to us since we opened, or flash sale that is only new clients. That would be a great feature specially for the marketing team, it would make it a lot easier given that all the customer emails are already on the account. Overall: I have a data base now for all my clients with their appointments, what services they've received from us, their contact info and so on. something else i forgot to mention in the cons section is that, theirs no section to input clients different social media account names for us to keep on fill for our marketing team. that is also something that would make their job a bit easier. Cons: Not easily prompted to review or share via social media (thumbtacks are great but usually it resorts to a link that takes for ever- thoughts?) ALSO, if social media reviewing/sharing re: deals or events or parties, specials- Mary Kay whatever... if those could be more easily utilized. Overall: I have been with the same stylist monthly (if not more than once a month) for years. She was previously using a different on-line booking system which I was fine with using up until this last year. The system she had successfully been using started to have some major hiccups not only with a simple way for clients to book but additionally, they incorrectly were charging people despite all of the effort her clients made . Their incompetence in customer service, the difficulty, time and money it has cause not only myself and other clients but also our Stylist is incomprehensible. It is clear that the main functioned seemed to be consumption of others time and money. She recently switched over to Vagaro. Vagaro has completely transformed the users experience for booking online. I am again a believer that you CAN do most things on the internet, like utilizing a globally used system. I have watched the multi-facueted difficulties a business goes through when dealing with and/or represented by seemingly vengeful and obviously obsolete systems; specifically an online booking system. Vagaro has amped her business back up (as far as I can see/hear) and the interface from a clients perspective is a breeze!! No questions, but if you have them they respond. I tested it out a bit just to make sure my appointment and credit card wouldn't get screwed with (she also confirmed neither had occurred). Vagaro or bust!! Pros: That my website is connected and easy to manage. Clients can book directly on there. It is just amazing. Cons: Nothing. I absolutely love it. Overall: Vagaro is an amazing, easy and simple software. I absolutely would recommend this software to ANYONE in the business of hair, tanning, or any type of scheduling type of jobs. It is so easy to use and easy to work with especially when I am showing a new employee how to use it. For me I can book appointment every 15 minutes and I can set the time limit of how long a service may take. So if I book someone for our Infrared sauna, then it automatically books that person for a 45 minute slot. If I have a spray tan during that time I put that next person in and it doesn't affect anything. Vagaro is also my website as well where people can book from and my email blast go out from there. On top of my emails going out I can also choose to connect what my email is to Facebook and Twitter. I keep track of my sales through Vagaro by printing out different reports. Also my inventory and checking out clients is all connected in one simple and easy software. Plus you will not find anything cheaper than $35 per month. If you get a new employee who needs the site as well they can have their own scheduling for only an extra $25 per month. It is simplying amazing! VAGARO!! Recommendations to other buyers: It is cheap, easy and an awesome platform to get your business started and continue to grow. Pros: How easy it was to accept clients online to start booking themselves (once they got the hang of it) saves me a lot of time. Love that it reminds your clients and that you have the option to email. Cons: The face that you cant delete a customers email if they opened up multiple accounts. The functionality online could be better for clients. They hate that they have to keep putting in dates when they are just trying to figure out what available in upcoming weeks when they don't have a specific date in mind. I also wish you could search evening or morning appts it would be easier for clients who are looking for specific times that have to keep refreshing the page. Overall: have had it for many years and its very functional for what i use it for. Only thing i would complain about is the functionability for my clients online they wish it was a bit more user friendly like it is for us on the professional side. The credit card feature is another I didn't like just wasn't fond of their merchant account side to run credit cards too many third parties to deal with. But those are things that are very minor and your clients can set up with you before they leave if they are having problems and you don't have to use there merchant account to accept credit cards. Online Scheduling & Reporting Features That ROCK! Pros: It makes online booking easy and flawless. Cons: Silly, there is nothing to not like! Overall: I have been using Vagaro for since I became a booth renter March 06, 2011. I can not tell you how easy it made my clients to be able to book online and how easy it was for me to book clients on my phone if I was on the go. In fact the ease of booking made my business grow substantially. 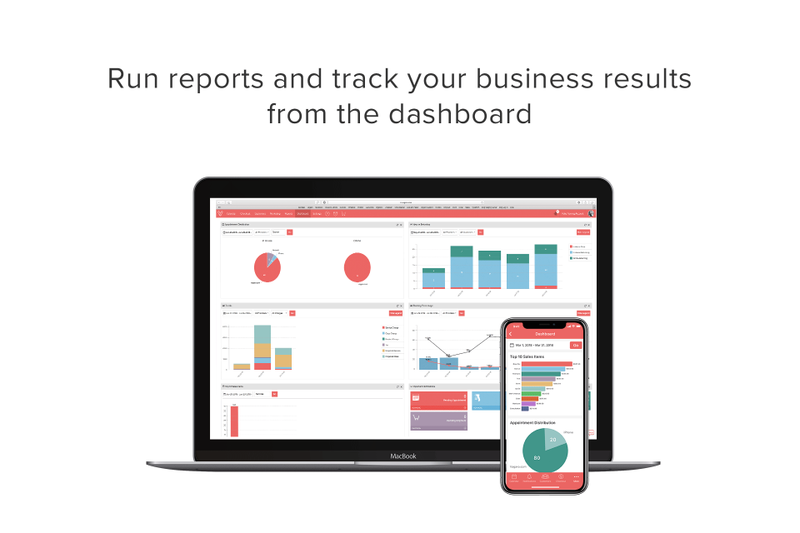 The reporting features made it easy to see how I was doing and where my business was coming from either phone appointments or online. Eventually my business grew large enough that I opened my own salon and Vagaro was right there with me for that. I added my additional employees and opened calendars for them and we took off! Again the reporting features helped so much with payroll and taxable income amounts. Eventually booking through Yelp became available and new clients could just click the link and be taken right to Vagaro, it was an awesome move on Vagaro's part to enable that. Fast forward a couple of years and now I have no employees and only booth renters in my salon and everyone uses Vagaro here. If someone searches the name of the salon on Vagaro it brings up each stylist's personal calander and they get the one that they need. Vagaro has been with me through it all and I am still with them because it is a quality product that delivers consistently. Recommendations to other buyers: It is so worth the money! You get so much for what you pay! Comments: Overall very good to excellent. I checked out many many competitors before choosing and after 9 months I am happy with my selection. Very good easy to access support if needed. Pros: The online scheduling and the integrated credit card processing works great and our staff and clients are liking it. The Apps are a plus too so the staff always has access to their schedule and the client app is a hit. I hesitated switching from my previous software as setup always takes a lot of time for a dozen technicians (no matter what any provider tells you), and I was unsure that I could trust clients to book online without problems. I made the move and was pleasantly surprised how well the online booking worked and the response we received. However, I am glad I waited as these systems are now ready for prime time. The monthly price is reasonable and no up front costs. No worries about backing up at the salon anymore. I 'owned' my previous software so I was not sure I wanted to go online/cloud/subscription but it is a good value. Nice closing out clients on ipads at the desk or anywhere in the salon. Cons: The daily drawer cash count is primitive. It does not know if you added money to the drawer, took tips out or did paid outs. It does not keep a record of counts during the day. I had to make a spreadsheet to handle these duties. Vagaro has really come a long way! Pros: It's very attractive and quite easy to use, once you get adapted from whatever you were using before. I had quite a bit of data to transfer over from my old platform and I found it quite quick and easy to sit down at my desktop and pump it all out in batches. I am excited to be able to share this with my clients! Cons: I would love to be able to enter packages with multiple service types. Additionally, I would like the ability to enter a past checkout date for services and packages, for accurate reporting. When I switched over to this platform, I needed to enter all existing packages for continuity, but the reports reflect all packages being purchased on the date I entered them all. My packages are unlimited and run in time increments instead of quantity of services. So beginning and end dates are important. I would also like to be able to customize payment types for more accurate reporting. I saw the instructions for creating a GC for the month of groupons, etc...but it would make so much more sense to be able to create my own payment types so I can segregate for reporting, as well as split them up more easily at checkout. Overall: I had tried Vagaro years ago, and while they were awesome even back then, I chose another provider due to just a few features that streamlined my business. NOW, I've decided to come back because they've really stepped up their game (without raising prices)! There are a couple of tweaks I hope to see in the near future, but overall, this is a fantastic platform for the cost! Good job, guys! Recommendations to other buyers: I use my tablet, phone and desktop for making changes and it seems to take some time to refresh so that the changes are visible across all 3 platforms. This is fine when I'm updating 1 appt at a time, but when I've entered multiple changes, it can be a bit confusing. It's not a huge deal but I nearly overlapped clients the other day. Cons: Just that it is a cloud based service and if the service goes off-line, there would go all our information we depend on while at work. Overall: I have been using Vagaro salon scheduling software App for 5 years now, and it has been great in every aspect, not only for the ease of use, or the great monthly service price, but for the excellent and user friendly marketing functionality and the constant and the ongoing improvements Vagaro undergoes regularly, listening to us stylists and taking our needs and suggestions seriously, and implementing the relevant changes correctly and in a timely manner. Thank you guys for creating Vagaro! Recommendations to other buyers: Not sure if that would be technically possible without some fundamental changes, but I (and I am sure so am speaking to everyone here) would love to have a copy of my client book (all the data) stored locally on my device, as a precaution, should Vagaro's server ever decide to take a nap. Lol The locally stored "client vault" would perform back up and syncing Everytime we log in, or when someone books online. Great salon addition to organize and so easy to access . Occasionally they website has gone down but Vagaro is great at letting us know and get it back up right away. If you ever loose your server for any reason, you will not have access to your appointment books. The pro's far out way the con's. Happy Vagaro customer for years! Pros: I love being able to run reports, capture client info/ spending habits, the ability to capture credit card information when booking, and the ease of running a promotion and tracking gift certificates. I love the auto reminders for appt confirmations and the ability to pad appt times so clients don't get double booked. By the way, I am the 2017 referral winner for Vagaro, so I talk up this company all the time!!! Couldn't run my biz without it. Cons: The marketing templates look a bit elementary, so I have to upload my own images since I'm not a huge fan of the premade ones. I usually just use mailchimp for marketing because of the templates. Also, every Massage & spa forum online says how Vagaro REALLY needs to get a SOAP note for massage therapists, as well as online intake/ consent forms for clients to digitally fill out. I really wish Vagaro was compatible with SQUARE, bc I refuse to use Vagaro's Point of Sale system for services bc the fees are slightly higher than square. Comments: Although, a few bugs and things I'd like to change, this is overall a good booking app and I have also recommended this to my colleagues. Pros: I like that there is Online booking features and automatic text for booking confirmations. Very nice inventory control system that a lot of other booking systems don't have. I like that its easy to use and set up and it feels like I have my own built in receptionist! Cons: There are just little things I would change in the interface. You can't do specific things like make only new guests require a credit card to book an appointment online, you can only do it for all clients or none! It is very difficult to issue refunds and sell gift certificates on the mobile app and for gift certificates, you have to have the recipient already in the system before you can even sell one! it is also glitchy when it comes to combining client accounts on the desktop site and you cannot even do it on mobile. In general there are quite a few bugs. Pros: Ease of use, the price for the value and the services that are available standard would be a la cart with other providers. Communication with customers is important and the reminders and email communication are great with Vagaro. Cons: Membership structure was set up only for billing and not for tracking prepaid services. We found a way to get around that by using a point redemption structure. Works for us right now but that may have to change as our company grows. Overall: Vagaro is worth it! Trust me, we tested the waters and came back to Vagaro after a few short months. We are a small business and found that even the basic features with Vagaro met our needs better than the excess features of other service providers. We offer some services that were not set up in the existing Vagaro system and customer service helped us customize to book these services. The membership features could be improved upon but we have found a way to make the current structure work for us. Booking & checkout is user-friendly and quick, which I love. Customer service agents we have spoken with every time have been wonderful and patient. We even spoke with a Rep at a trade show who took the time to show us how to better use some of the features and we were existing customers. Super Impressed! Pros: I set this software up for a massage therapist shop. It was for an individual who needed to contract out 2 services, yoga and massage therapy. In order to do that, we had to buy 2 subscriptions what was sort of a pain. However, the ease of use of software was great. There's integration into yelp and facebook. It integrates right into your google calendar which is super important for people that are really busy. Also its way cheaper than mind body so that's a bonus. They provide everything you need in order to setup a successful massage shop or whatever in fitness you are doing. They even take credit card for services. If you swipe it on your phone in the mobile app, it will ask you for a tip. On ipad, it doesn't. Also vagaro allows you to rebook an appointment on the spot which I found very convenient for rebookings. Cons: It was really hard to setup multiple services within the shop. I had to setup yoga and massage under 2 different employees but the same name, with 2 different google calendars. It was really messy. It works best when you have employees and can set them up under services they provide, if your solo and provide more than 1 service that aren't related, its hard. Pros: I like the fact I do not have to do a reminder call every day. There are features I am not fully using because it does not apply to my business. but as I expand I can use all the features. Cons: I think if I had to find a least like...when the wifi is slow and I cannot get onto the appointment calendar to book appt, and I have to wait. That is super annoying,,,but the good outweighs the bad I feel. Overall: I have been a Vagaro user for about 4 years. I love the ease of it for me...a challenged computer user...and I have had great success. My customers love this also, they love the reminders and the ease of making their own appointments if necessary by theirselves. Recommendations to other buyers: I am not the best at computer work, and with the ease of the system I could make it work for me and not have my assistant do my appointments. also, with the connection to my website my clients can make their own appointments if necessary. I thought it would be tough to let go of my control of my appointment calendar, but with going to a online system, it was a easy transition for them and for myself. Comments: Let the 5 stars speak for me. Pros: Hmmmm.. where do I start? I really do love everything about Vagaro. It helps me run a smooth business with clients ALWAYS telling me how much they love the ease of the on-line booking, and especially all the reminders. We live in a fast-paced world, where most are meeting themselves, coming & going. Vagaro has not only given ME freedom to do what I do, but also my clients, to book with ease and mark another thing off their to-do list. THANKS, VAGARO! BEST Scheduling Site/App for Spas & Salons! 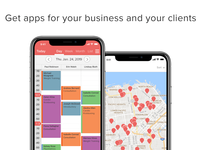 Pros: appointment reminders, marketing tools, marketing emails and daily deals, "Thank You" emails, "Birthday" emails, "We miss you" emails, ease of exporting contacts, ease of scheduling, confirmation emails/texts of appts. Cons: I do not like the merchant processing that comes along with Vagaro. It is an outsourced company that does not walk you through any process at all. I do not know how to use it, yet it keeps extracting money out of my bank account monthly. Not happy with this at all. Overall: I've been using Vagaro for my MedSpa for almost 4 years now... It is the EASIEST software and I have a 98% show-up rate because of the reminders that are sent to the clients via text AND email! Clients can NEVER use the excuse that they forgot about the appointment unless you put their info into the system incorrectly. I LOVE the marketing tools on the app as well, and I have gotten new clients just from doing the "Daily Deals" with Vagaro. Undoubtedly the best scheduling system out there for my spa! Highly recommend! Recommendations to other buyers: Fix the merchant processing! Was one of the first to have! Pros: Not only I enjoy how this program is, My Guests absolutely love it. The reminders and the notices they receive give them the opportunity to confirm, change the date and time, and even cancel if needed appointments. My personal records that are kept helps keep me informed for all aspects of my services and also prior or next appointments. It also lets me tell my Guests what products they've enjoyed in the past so they can re-purchase them. I just love the ease and way I can let my Guests know about my time out of the Salon and Vacations that would be coming up so they can get in prior or set up for after. It also sends them a receipt on their services and costs. Would not try any other program. Works on all my Devices. I run mine on all Apple products. It also syncs on my personal calendar so I can schedule my own appointments(Dr and time off) . Pros: Every time we need assistance, we get what we are looking for. There has never been a feeling of frustration using Vagaro. Overall: Our business, Elastic Wax Center, started using Vagaro from its very beginning. Being a waxing salon, Vagaro provides us with everything we need in terms of functionality, credit card charges, and advertising, which helps bring new customers almost every day. One feature we really love is that our clients can easily book an appointment within minutes, and there has never been a problem with overbooking, which is essential to the satisfaction of our waxers as well as our clients. Cons: minor glitches occasionally. price list export could be improved for Mac. Overall: Very excellent app/software for the small salon or independent contractor. I don't have a receptionist, and clients love that they can book online anytime or check their appointments. I also utilize an answering service when I am with clients, and can't get the phone, called Basetend. They are a remote receptionist service, and they are set up on my Vagaro account with the ability to view and add appointments to my schedule on Vagaro. It is awesome! Also Love Vagaro's email marketing set up. So easy to send updates to all our clients and let them know whats new at the salon. Overall excellent. I back up my client list, and my calendar just in case, but there have been two short times when Vagaro had technical difficulties for like an hour and then it was fine. Just think they should compensate when things like that happen, but for the low monthly price, it really is a good value. Otherwise a great addition to my business and lifestyle. Recommendations to other buyers: Get it, it really helps and is so worth the price. Great software to take away a lot of headaches with scheduling! Pros: the fact that clients can book 24/7, cutting down drastically the phone calls I would normally have to return at the end of the day. Cons: I came across a situation where I wanted to only allow one particular service to be booked on a certin day, but Vagaro does not have that but I think it would be a great option. For example this was a date for an event where we would only performing one type of service- but there was no way to keep clients from booking whatever they wanted.....On a separate note, when I have had to call Vagaro regarding a couple issues or questions I had, I feel like I'm waking the guy up sometimes or something...I get a real 'surfer dude' vibe...probably sounds weird but I don't care for calling in, I try to resolve everything thru the chat option. Overall: Vagaro is a great scheduling system. My clients love it. I love that new clients can find me thru Vagaro's site and book immediately. Recommendations to other buyers: overall I am very happy with Vagaro. Comments: As a small business owner, I appreciate the cost for Vagaro and overall the app is easy to use. There are a few features that I still haven't figured out yet, and I hope that my struggles with customer service will improve. I feel that the company cares and wants to work to improve where they can. I think the online forum is a great resource once keywords are identified, I believe I will get all of questions I have answered. My clients 100% prefer Vagaro over Mindbody and so do I!! Thank you for asking! Pros: It is very easy for my clients to use. It is very easy for me to use as well. The cost is unbeatable. The app is comparable if not better than mindbody and the cost is so much lower. Cons: Overall it was very easy for me to set up. However whenever I have a question, I am directed to the online support forum. I would prefer to find the answer myself as well, instead of having to call. But searching the library online is not user friendly. I try to type keywords and I ended having to call because I couldn't locate the answer on my own. Reaching a live person with the answer is difficult as well, they would usually just send the article that was related to my issues. It was hard to speak to a live person and have any other questions answered all in one phone call. Amazing Inner Office Software for the Salon/Spa Profession!!!!!!! Pros: I love the layout and ease of use. It is very functional with tools that are a must have once you experience them. Cons: I am not to fond of the photo gallery. I think a photo gallery should be just that and let you name the picture or explain as you see fit and not make the picture correlate to the list of services on your profile. However I do understand the reason behind it. Also the merchant services I think that there should be a percentage per swipe OR a monthly fee. It should not be both because its like double charging sort of or at least increase the percentage yield per swipe in order to eliminate the monthly merchant fee. Now if you are using merchant on a larger scale then obviously they can afford it but the smaller scale merchant service should be one or the other. Overall: I have worked in the medical field for years prior to owning my salon. We are all familiar with having to be checked in and checked out and everything in between. Well this software suite allows you to have the true office program for your salon or spa. I absolutely love the features they offer. These features are truly beneficial to what you need and not unnecessary stuff like glitz and glam or badges. It allows you to see where the client is within the salon at all times and I love the way you can custom design your own profile page with the ease of templates and drag and drop!!! After one webinar for the beginner you will be using this program like a professional in no time flat!!! Recommendations to other buyers: I like that this software had a place for me since I offer locs. It would be nice to see in the list of vagaro services that cater to a more ethnic spectrum such as braiding and natural hair services. But none the less I am still overwhelmingly pleased with vagaro and I am so glad i found them. Vagaro is the Best software ever!!!! Pros: The amazing updates..If it cross my mind...within months the company has read it! And expand new ways to keep in touch with customers! Cons: I wish i could use my own merchant service to checkout and swipe..but still stay connected to vagaro. I tried the third party merchant for the software and i actually like my bank third party merchant services. But this doesn't effect my feelings toward the actual software and using it. Overall: I started with vagaro in 2010 for just a regular booking site for my chair (I'm a stylist) at another salon. However, when I opened my own salon it was nothing to expand with this software. Updates have been nothing but amazing. It keeps getting better and better. If you are in search for software for your business look no further! It goes from emailing reminders, texting specials, to keeping your inventory! EVEN PAYROLL! Vagaro is the Best! I use it from my phone, iPad, to desktop! Recommendations to other buyers: If you aren't using Vagaro you are missing out on running your business with ease. Pros: The confirmations texts, and reminder texts to my clients. Also the ability to let them know if they did not show. Also, the History for each customer that the software keeps track of. Lets me see exactly when they were in last and what time. Helps me remember each person so that I can be more personal. The note feature is a lifesaver!! Cons: Sometimes it runs a bit slow . Pros: That I can use it on my i-pad, phone or standard computer. It is an easy to learn system to teach when hiring new personal. It has the ability to help you stay organized and on top of clients so they don't fall through the cracks. Cons: The only con I have is that it is really difficult to send one email at a time to clients, you can do it but you have to go through and do alot of cut and paste. Overall: I have been using Vagaro software for the past 4 years and it has kept up with me as my business has grown. Vagaro gives me access to client information and the ability to reach out to those clients who have not been in for a period of time, send thank yous and birthday emails. It truly is like having a front desk receptionist. Recommendations to other buyers: Would like to have the ability to email each client individual if need be. Have the ability to set a 30-day or 60-day note so that client would pop up so you could contact them. Being able to add widgets to the website via Vagaro for when you are doing events. I couldn't have an effective business if I didn't have Vagaro. It is a necessity. Pros: I like that it texts appointment reminders and confirmation notifications to my clients. I was constantly having to call each client leading up to their appointment for confirmation. It was working, but I knew that something could be done much easier and efficiently. My clients constantly thank me for implementing a text reminder software. I also love that I can access my schedule from my desktop as well as my phone. Having 24/7 access helps to increase my income, and to respond to my clients much quicker. Worth every penny! Cons: I would LOVE it if it had an option of adding a waiting list option available for the week, that way if a scheduled client cancels, it could immediately bring up a list of clients who are interested in filling the spot. Pros: Finger touch and move appointments is the most important feature, which other software doesn't have. Love to see our schedules side-by-side. Being able to block out time for a treatment room that everyone uses is so helpful, not having to worry about 2 people booking the same time. Different colors for each service makes it simple to see what we're doing at a glance, without having to read the services. Cons: The notes aren't always available to read, which is difficult because we leave formulas and allergy info on them. Overall: We've been using Vagaro for over 4 years. It's easy to use, understand, and train stylists on. We use it daily, actually, hourly. It's changed our business. We're more professional and clients can book while we're working. It's too slow to have people call and us call back to arrange appointments. Plus, this really makes it simple to prebook every client before they leave the salon. Pros: Scheduling a single service or checking out a product is easy. Clients report having an easy time booking themselves online. Cons: Felt like the customer service rep always tells us to refer to the webinars. Not very helpful. Don't like the complexity of the packaging. Cannot assign commissions to assist with payroll management. Sometimes 3rd time is really is a charm. This is my 3rd booking system and they are amazing. Pros: I love that they alert you when the system is going to be down for updates and they schedule those times in the middle of the night. I have called several times to ask questions of technical support and they are always knowledgeable of every topic and always send an email summary of the call. Previous systems have included less for more money and this service works for every stylist or salon no matter the number of staff. I can't say enough about the system. Highly recommended to everyone. My friend in Ohio Opened her first salon and they didn't hesitate to sign up with Vagaro. Cons: I'm not sure there are any cons. It would be nice if when it automatically logs out at set time if it wouldn't logout if there is an open credit card transaction. I have gotten busy a few times and If you don't complete the credit card transaction it will time out and you have to get the payment processed again. I usually figure this out after the client is gone and have to call them. Sometimes when you in the middle of entering an appointment it will log you out and you have to start over again. Satisfied Vagaro User for years! 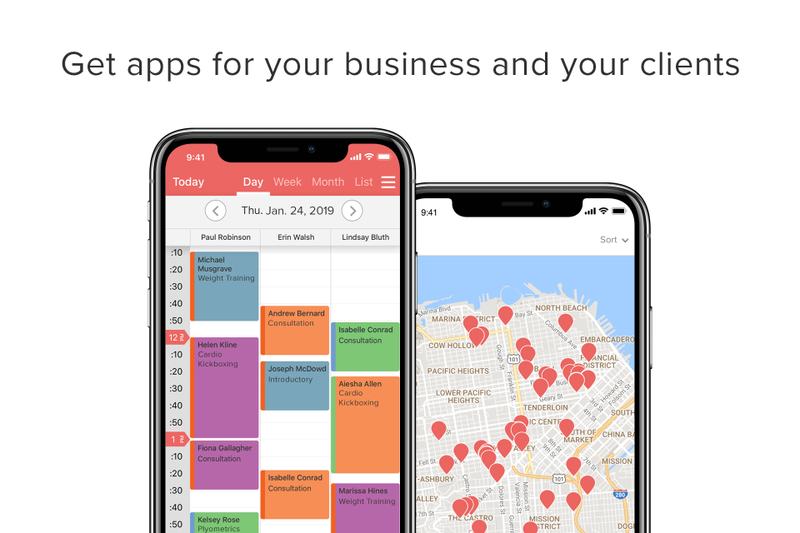 Pros: The client reminders is what really attracted me in the first place but it has many features that can be helpful in running a simple salon business and doing it in an organized manner. Cons: I wish there were a few different features to help professionals navigate the calendar and such differently. But there are many ways to to do things differently. Overall: I have been using Vagaro for years and I love it. Clients love it, its easy to use and keeps me organized! Wouldn't trade it for the world, even just the client reminder texts are worth it. I have referred many of my colleagues and they seem to be enjoying the service as well. Recommendations to other buyers: I would have to work with a software engineer to do that I used Millenium in the salon for many years before going independent and using Vagaro and there are things I wish were paralleled between the two. But Millenium did so much and more that a salon professional working independently might not need as much. Pros: If there is any questions there are plenty of tutorials to view and if I am left any questions I can call anytime of the day to get the answers i need quickly. Also the data that is available helps to bring your business to the next level. Pros: You and your clients have an app to use anywhere, anytime. It helps those clients that think about getting their hair done at random hours when I am not available to schedule for them. It sends reminders automatically which dramatically decreases no shows. Cons: I really don't have anything negative to say about this program. They are always updating and improving it to make it easier to use. Overall: I have used this program at the last 3 salons that I worked and have absolutely loved it. Before moving to my last salon I looked and changing to the square appointments since I use square for credit card processing and they do not compare. They had less features and were not as easy to use for more money. I'm staying with vagaro. The customer service is also excellent. They are quick to respond to questions through email and I always get a person when I call the customer service number. I've used several online schedules throughout the years and find that the Vagaro is a great value. 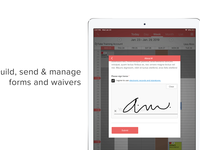 Pros: Easy to make appointments via the online or mobile app. although the mobile app could be a bit tedious trying to isolate a specific time, particularly small time frames. I love that they listen to the users' experience and make constant updates to facilitate our needs. Tracking inventory is a breeze and business reports are easy to obtain. Customer service is Five Stars. They've "rescued" me several times without one disappointment. Cons: I'm not a fan of the drop-down menus while I'm hovering over the screen. I'd prefer to click on a tab should I require additional info. Overall: I'm a solo artist so I need Vagaro to keep me organized, up-to-date, and hassle-free. Overall, the client experience is great with little to no issues while trying to schedule, reschedule, or cancel an appointment. Pros: Scheduling for both booth rent and commissioned stylists. Reports that let us know the break down of earnings by method of payment, tips, product, etc. The future forecast on the dashboard that tells us what we can expect to earn a week or month ahead of time. We can access it on the computer at the salon, from home, or on the go on our mobile devices. Cons: I pads can pull up reports, but cell phones can not, but that really is not a problem at all. Overall: We were using another salon scheduling software that cost more, but switched to Vagaro after reading the reviews. It is just about the only software out there that can accommodate both booth rent and commissioned stylists. I love it's ease of use and all the many features of Vagaro. I still haven't utilized everything that it has to offer. It's affordable and they constantly are improving it to meet your needs. Customer service is top notch. I highly recommend it. Recommendations to other buyers: Get it now! Comments: I am a mindbody convert. I researched several other programs/apps before I decided on Vagaro. I am very happy about my choice. The customer service has been top notch. A few times I had to wait quite some time for someone to get back to me but fortunately those were not emergency situations. When I did get to talk/online chat with someone they were very helpful, patient and thorough. Pros: ease of use, affordability, integrated emailing & marketing tools, gift certificates, ability to schedule rooms with each appointment to avoid overbooking spaces and very easy to track membership. (this was very cumbersome in MB because I used a 3rd party cc processor) I also like the interface on the desktop version as well as the app. It's fun to use! Cons: 1-Inability to force scheduling of couples massages with 2 therapists for 2 individuals. 2- Inability to set online scheduling to only show open appointments around existing appointments to avoid big gaps in schedule. 3- Inability to enter a tip after a credit card transaction has been completed and the inability to undo a transaction that has been paid by credit card prior to it being settled.